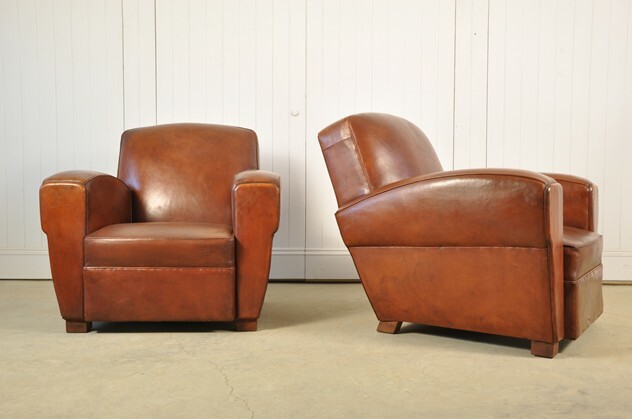 Sourced on a recent trip to the South of France, these vintage leather armchairs are the best we have found in the last 10 years. Classic 1940's shape with the sweeping arms. Apart from being re-sprung these are in completely original condition. 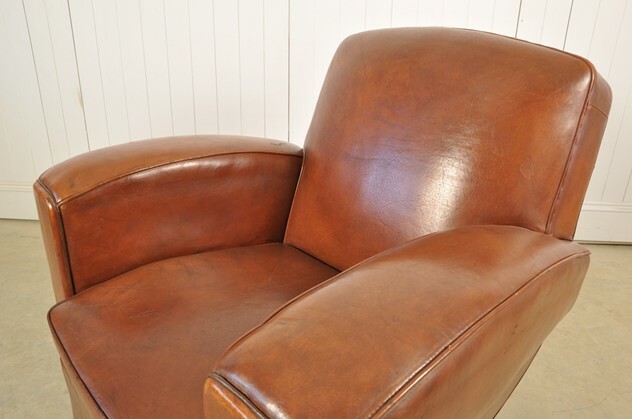 Apart from 1 small tear the condition of the leather is fantastic with a few marks and bumps but generally in excellent condition with a lovely patina. 42 cm h to seat.